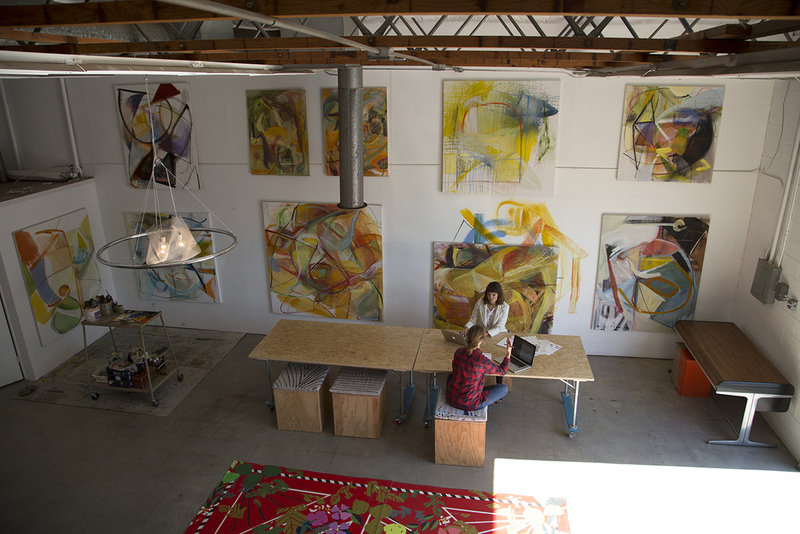 Sofia Lacin and Hennessy Christophel in their Sacramento studio. // Photo: Chantel Marie Elder. Please meet Sofia Lacin and Hennessy Christophel, everyone! These two incredibly talented gals have been hard at work making the Sacramento region a more beautiful place to live through public art. 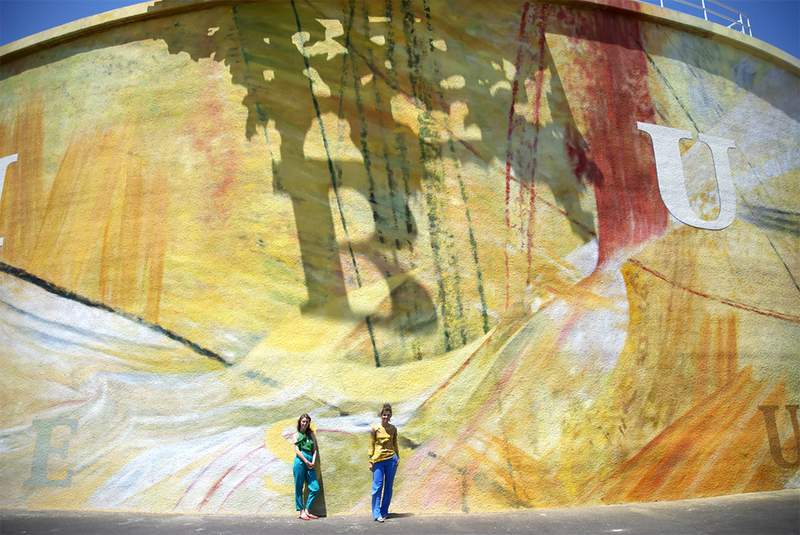 They're muralists and installation artists whose work can be seen on everything—from a four million gallon water tank in Davis, California to smaller works inside some of Sacramento's hot spots. At work in the studio. // Photo: Kent Lacin. At the job site. // Photo: Kent Lacin. At Same Sun — the water tank project in Davis, California. // Photo: Kent Lacin. Sofia geared up for an installation piece. // Photo: Hennessy Christophel. We recorded the show (last night after they spent all day painting, by the way) in their amazing studio here in Sacramento and, I have to tell you, I felt the creative energy in the space the moment I walked through the giant industrial garage door. During the interview we covered a lot of ground and chatted about why they love creating public art, the importance of collaborating with people whose skills complement your own and how sources of inspiration can sometimes be tough to pinpoint. I truly hope you all enjoy the show. Both Sofia and Hennessy were very honest about what it's like to be a working artist and I really appreciated their candid answers. Today's show brings me to the studio of artists Sofia Lacin and Hennessy Christophel. Known in the Sacramento region for their incredible murals and installations, Sofia and Hennessy continue to produce incredible work for all to enjoy. Listen in as we discuss the importance of public art, their tips for starting a creative business and the sometimes torturous creative process involved in their line of work. Get to know Sofia and Hennessy and follow along with their upcoming adventures!